Happy New Year from ZeroPhone! This is a Twitter thread that I decided would be suitable for a newsletter. Happy New Year to everybody in this community! This was an eventful year for this project, and I’d like to thank everyone that followed, promoted, discussed, supported and contributed to ZeroPhone. We’re close to properly achieving all our self-assembly goals, and crowdfunding is coming! 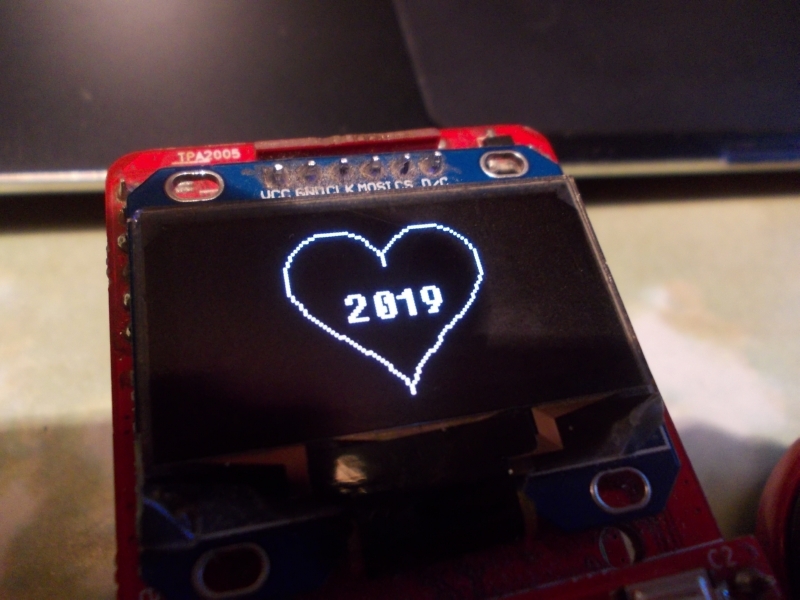 This year was more-or-less calm - the upcoming year is going to be hectic, with call software rollout for our beta-testers, major software changes, a FOSDEM trip and the crowdfunding start just in the first two months, and it’s only going to get more involved from there. Thankfully, a lot of people helped - making pull requests with their apps, UI elements and 3D designs, helping with issues, giving suggestions, sending ideas, asking questions, providing answers, maintaining the Wiki and docs, sending hardware, donating, and spreading the word. In particular, this year I went to FOSDEM thanks to a large donation from a supporter, and to Hackaday Supercon thanks to the support from Hackaday , where I could meet some of you in person (and distribute some ZP prototypes) - always a pleasure. We also bought lots of parts! Two ZeroPhone batches so far (Gamma and Delta) have been partially sponsored by Hackaday Prize and money that you donated. Plus, of course, PCBs&parts for different mod boards, hardware experiments, fixing&replacing broken parts, and getting tools. Hardware ain’t cheap, but you helped bring it to life! But most importantly, I hope our small community will continue to grow and advance - having people from all walks of life, each one finds something different in this project and what it can give to them; it’s always fascinating to hear about different ideas and usecases. Thank you all for bringing me up to $100 on Patreon. This will go a long way towards making sure I have a safe trip to FOSDEM in February! If you have any suggestions, comments, project ideas or wishes - you can fill out the survey, reply to this e-mail, reach me on Hackaday or Reddit, maybe comment on the Hackaday project - whatever works for you! If you’re new to this project, absolutely do check out ZeroPhone Wiki, as well as newsletter archives - and don’t forget about the Hackaday.io page!